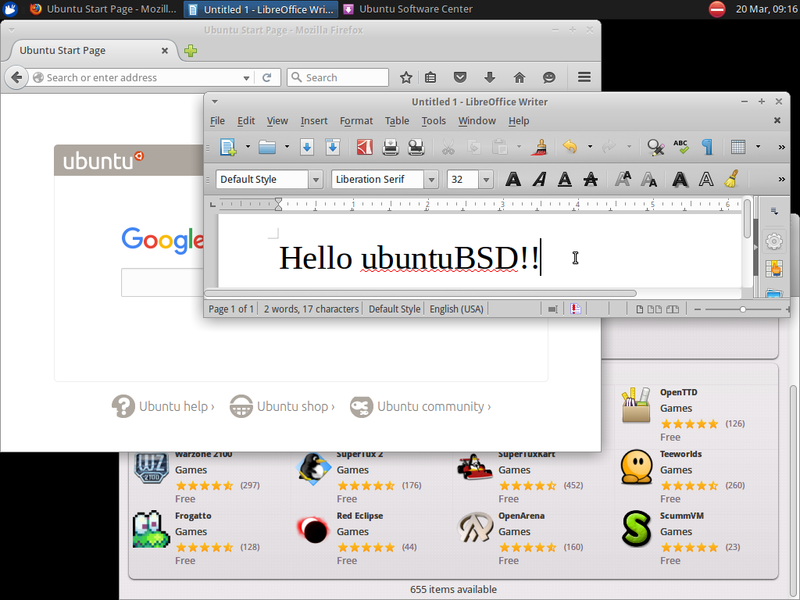 UbuntuBSD has been made available, and is currently in its BETA stage. This project aims to provide the Ubuntu user experience on top of the FreeBSD kernel, with the goal of moving away from systemd. The ease and familiarity of Ubuntu with the rock-solid stability and performance of the FreeBSD kernel. This project is in BETA stage! It is production-ready in most cases but you could easily find some bugs. You have been warned. Very nice! I am going to try it very soon. Thank you! The desktop environment is GNOME, so this is not an Ubuntuished BSD in the context of desktop environment, but GNOME composed of Ubuntu/Debian userland. I just wish you guys will implement the full Ubuntu experience powered by BSD, that is, using the Unity Shell instead of Gnome or KDE, that would be more impressive.